A sofa without cushions is like a cake without frosting. It’s dull, it’s boring and it’s tasteless. Although cushions look good on sofas of almost every style and shape, a corner sofa would benefit the most from them. You can transform the entire outlook of your living room if you know how to arrange cushions on a corner sofa. Over time we can get tired of our living room’s layout and we’d want to change it. Cushions can be a cost-efficient alternative for buying a new sofa. Let’s perfect the art of styling a sofa and learn how to arrange scatter cushions on a corner sofa. With styles so many and colours, even more, sofa cushions can instantly uplift a dull living room. They can make it appear sophisticated, happy, bright or warm without breaking the bank. Moreover, you can change the look seasonally, monthly or whenever you want. They don’t cost a fortune and look chic and trendy in a living room. We have gathered some tips on how to arrange cushions on a corner sofa so let’s dive right in. Nothing can go wrong with a matching pair of cushions on a corner sofa. 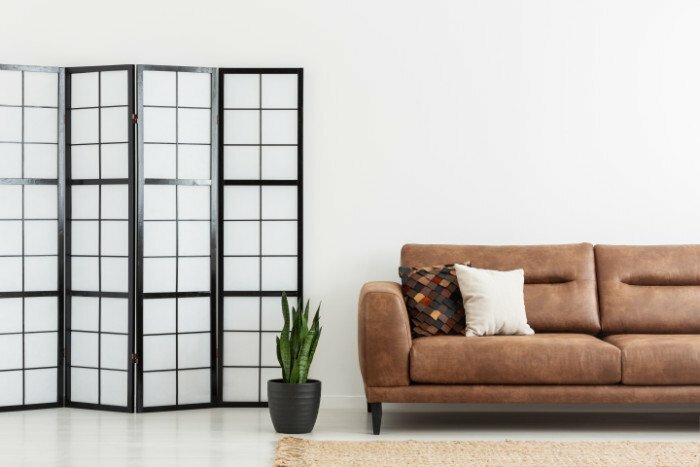 It is ideal for keeping the sofa clutter-free and simple. Place the matching cushions on either corner of the sofa, with enough distance between them. You can choose the same fabric colour or texture to bind the look together. This type of cushions arrangement is perfect for a smaller sofa as it will leave enough space to sit. 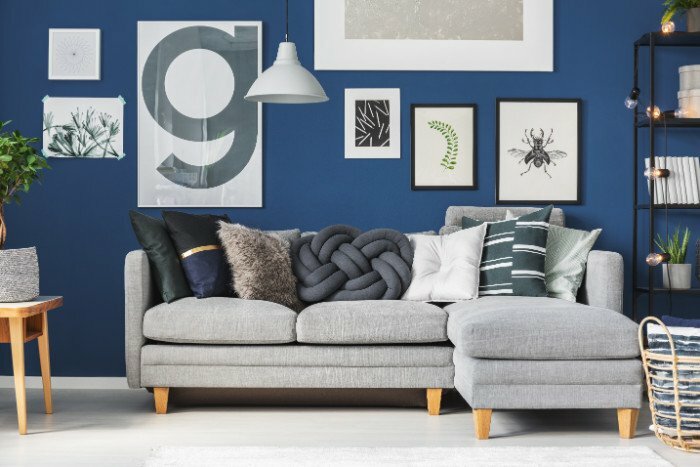 If you know a little bit about how to arrange cushions on a corner sofa, you’d know that it’s not just about matching fabrics. For a moment, don’t go by any rule book and simply follow your heart. Cushion arrangement isn’t poetry by an old English poet that has to follow a set structure. It’s more like the free verse, and we are the poets who can create whatever our hearts desire. Go eclectic or bohemian. Stay sophisticated or get chic. It’s all up to you. You can get creative and even execute a DIY project of sewing a cushion cover from an old t-shirt. It will look more personal and you can have some fun creating it. Although the cushion arrangement doesn’t need to follow any set guideline, it still has to be balanced. 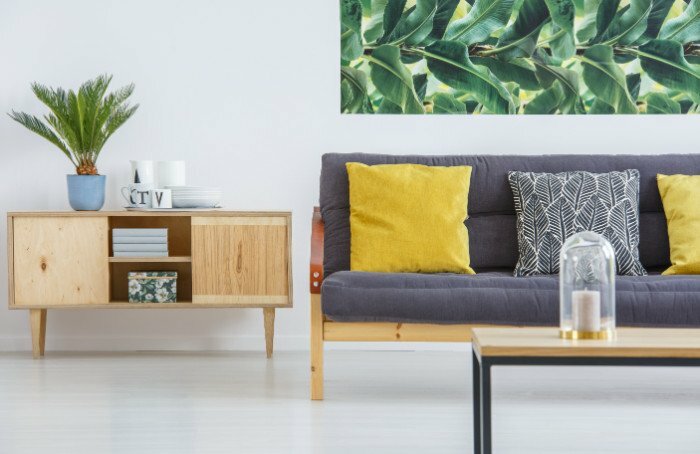 So, if you’d go completely out of the line then your living room is going to look like a disaster. Therefore, it is recommended to follow some pattern to keep it together. Instead of fussing over how to dress a sofa with cushions, you can keep it simple. We discard simplicity just because, well, it’s basic. But this shouldn’t have to be done. We need to give due credit to the simple yet sophisticated approach. Keeping things simple will let you be stress-free while decorating. Apart from that, plain and simple fabrics can give a smart aesthetic to any layout. 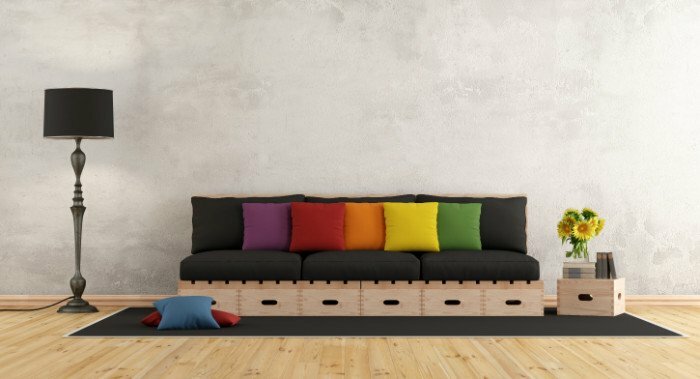 Creating a balanced display becomes more than easier with simple sofa cushions. One of the tried and tested tips on how to arrange cushions on a corner sofa is bringing them to the centre. Who said they need to be torn apart from each other and kept poles apart? Break the rules and place them in the centre of the corner sofa. If your sofa is a smaller one, this arrangement is perfect. You can keep the cushions in the middle of the sofa to create a tied together look. Other than that, this arrangement works well with the longer L-shaped corner sofas, too. All you have to do is place at least three cushions on both sides of the L.
Three is the magic number in sofa cushions arrangement. And that three doesn’t just mean a number. There can be three patterns, three sizes or three colours. If your sofa is a longer one, you can keep two pairs of three cushions. If you’re using three patterns, make sure they’re well-coordinated. For instance, you can use a striped one, a plain one and a dotted one. Or if you’re using three colours, try using the complementary ones. 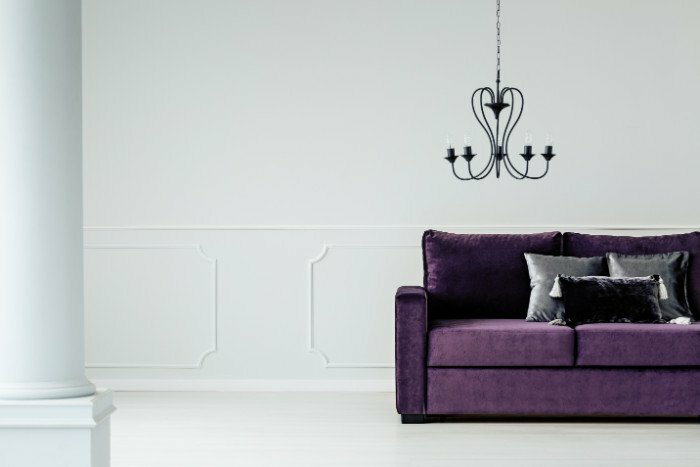 You can also use contrasting colours if you have a light base coloured sofa. For keeping sofa cushions of different shapes, place the biggest one at the back. In front of that, you can stylishly place the smaller ones. If you have two squares and a rectangular cushion, keep the rectangular one in front of square ones. Still wondering how to arrange scatter cushions on a corner sofa? Keep reading! Another way of arranging cushions on a sofa is to mix and match colours and patterns. It creates a balanced layout. So, pick two fabrics in similar or complementary colours. Keep one patterned and two plain or vice versa and voila! This simple yet trendy approach is perfect for keeping things in a budget. You can also hint the colours used in cushions in other parts of the living room as well. So, in a bright and happy layout of the living room with yellow plain cushions on the sofa, the colour can be hinted in rugs and throws, too. Arranging cushions on corner sofas is not rocket science. So, don’t just reject yourself that you don’t know how to arrange cushions on a corner sofa. Get creative and let your inner interior designer come out. Go crazy with shapes and forms. Put square, circle, rectangle and triangle cushions on the sofa. They will all create a very happy-go-lucky sort of display. You can also get crafty and DIY some cute shapes and patterns. 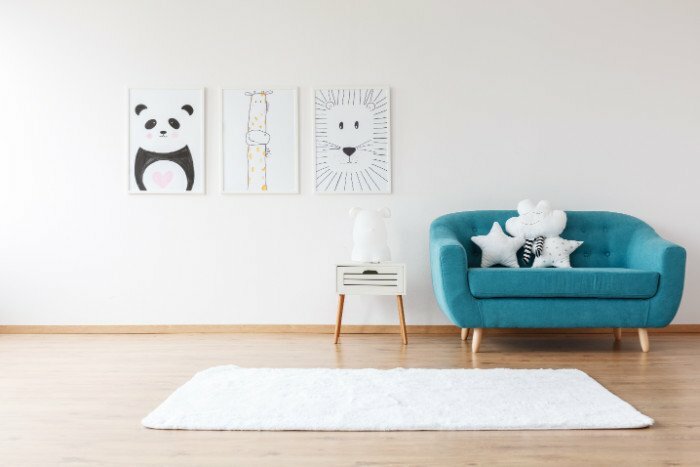 There can be a star, a cloud, a flower, or face of a cartoon that you adore on your sofa. 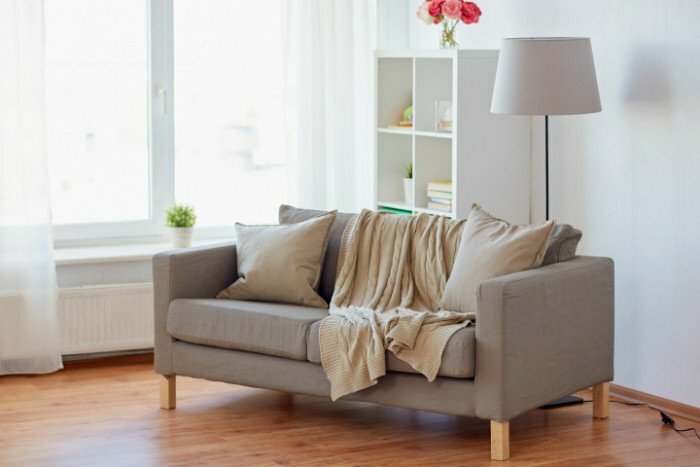 Wondering how to dress a sofa with cushions for a minimalistic setting? It’s simple, really! Be sophisticated, sleek, and minimal. For a smaller corner sofa, two cushions on each side would be enough. However, on a longer sofa, three to five cushions would look great. If you have a grey sofa, use shades of grey and white for your cushions. 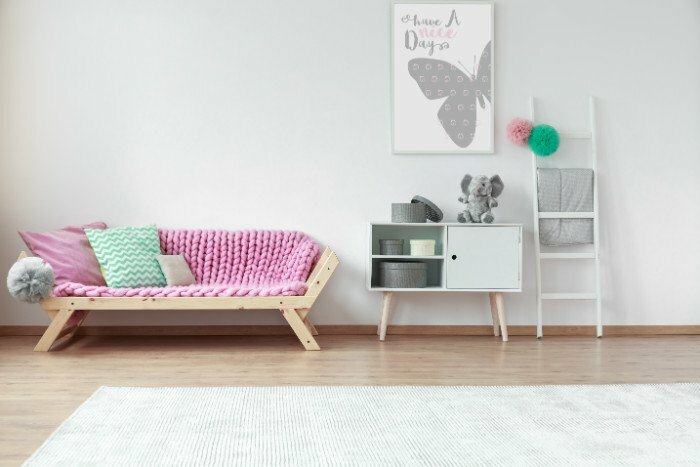 But if you have a white sofa, you can use grey or pastel colours to create a slightly feminine look. No matter what style you choose for your living room, layering it up will always have a positive impact. 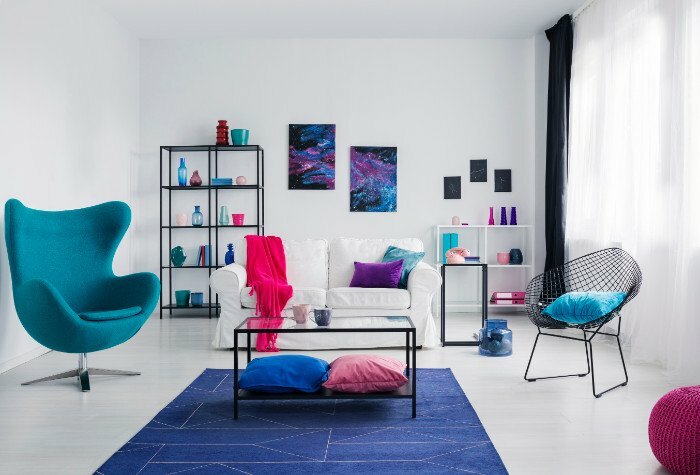 So, keep different sized cushions on the sofa and mix and match colours with other items in the room. For instance, lay a rug in a complementary colour to the cushions. You can also place a throw next to the cushions in a bright, warm, or light colour depending on your colour palette. 10. How Many Are Too Many? Some people get confused about how to arrange scatter cushions on a corner sofa while others can never get their number right. Two seem too less while six may seem too much. So, what is the magic number here? When is it officially TOO MANY cushions on the corner sofa? To answer this, experts have conducted surveys. The results show that the ideal number of cushions on a corner sofa ranges from three to five. Looking for a corner sofa? Buy the best quality corner sofas online here at Furniture Villa. We deal in the best quality oak wood furniture that has durability and class combined. 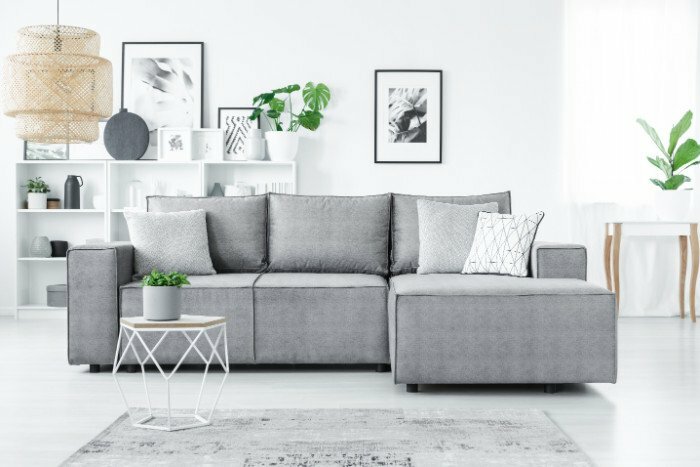 Bring the comfort and style that your living room needs from one of the best online furniture stores.